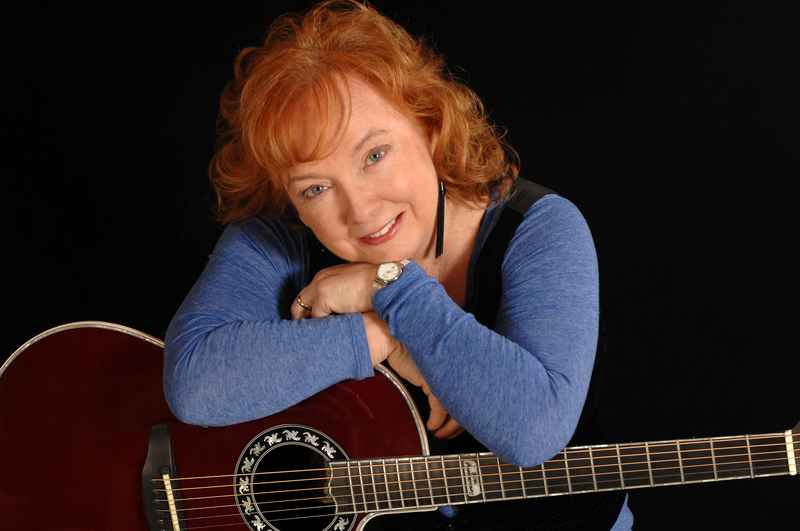 SHE’S A REBEL – FEARLESSLY GOING WHERE NO WOMAN HAS GONE BEFORE! 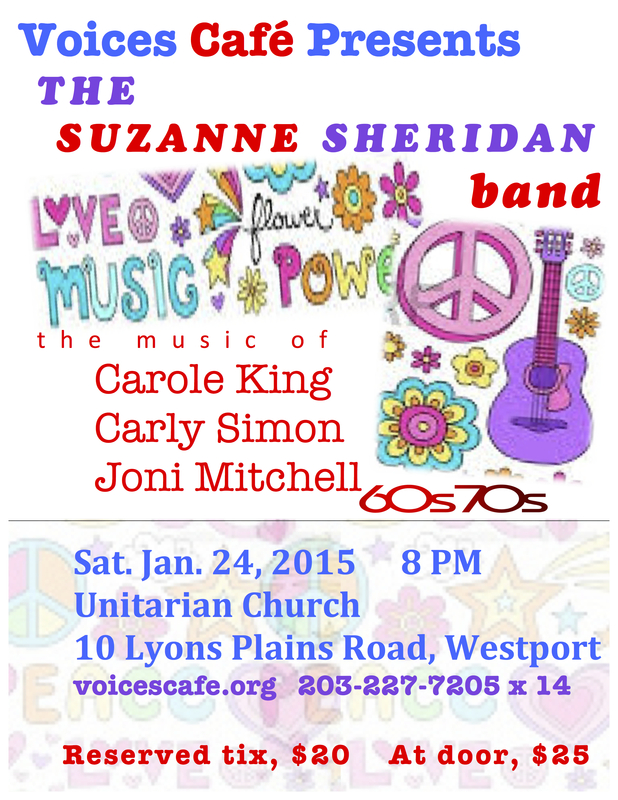 Rock ‘n Roll from the 50’s, 60’s, and on – previously forbidden songs for women to sing are again crossing the lips of the woman who started the Marriage Equality movement in Connecticut. 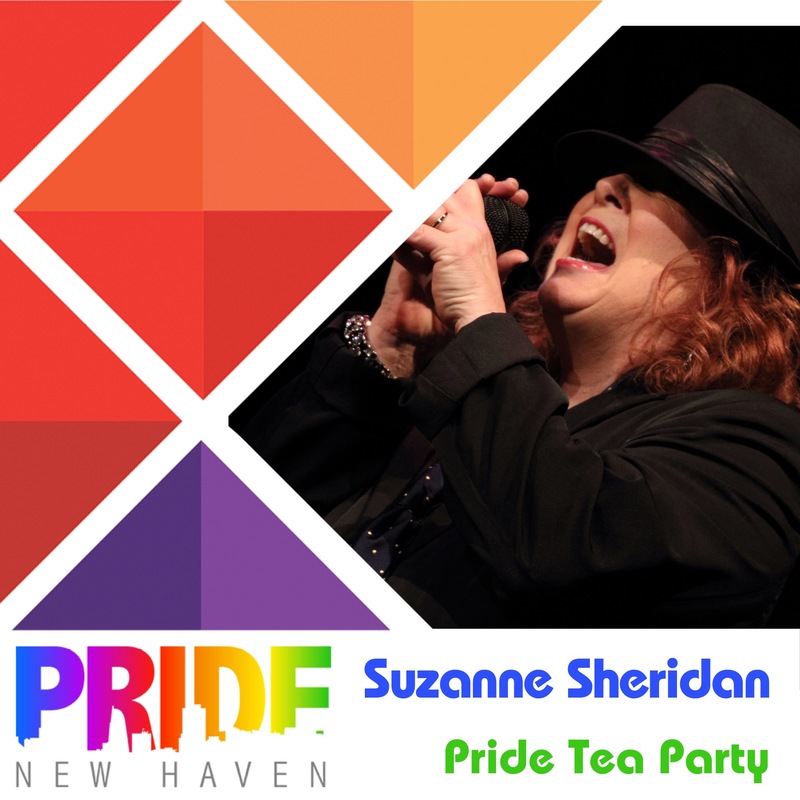 20 years ago, this concert jump started the statewide cry for gay marriage and we didn’t stop until we got what we wanted!! 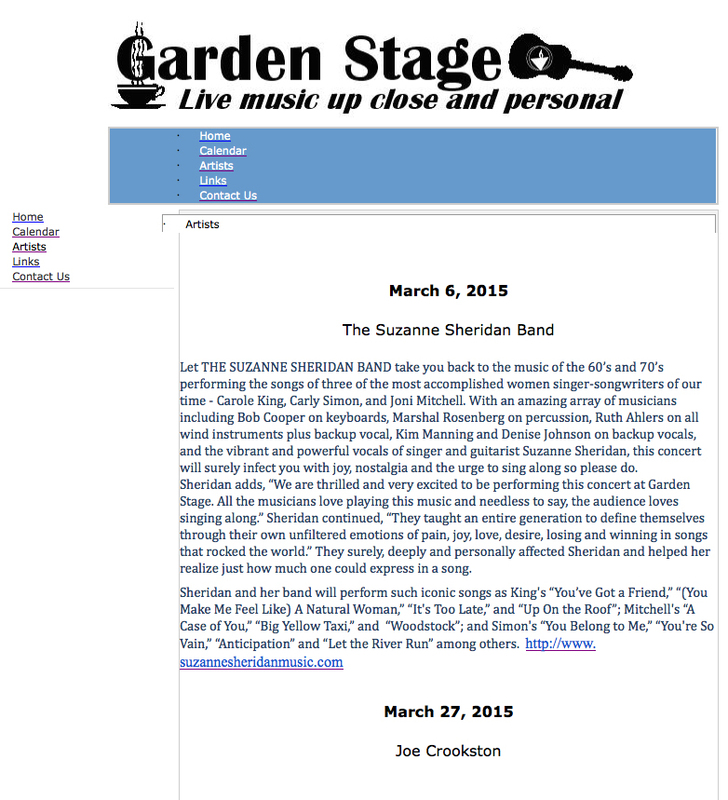 The hottest band in the land and she is all yours. 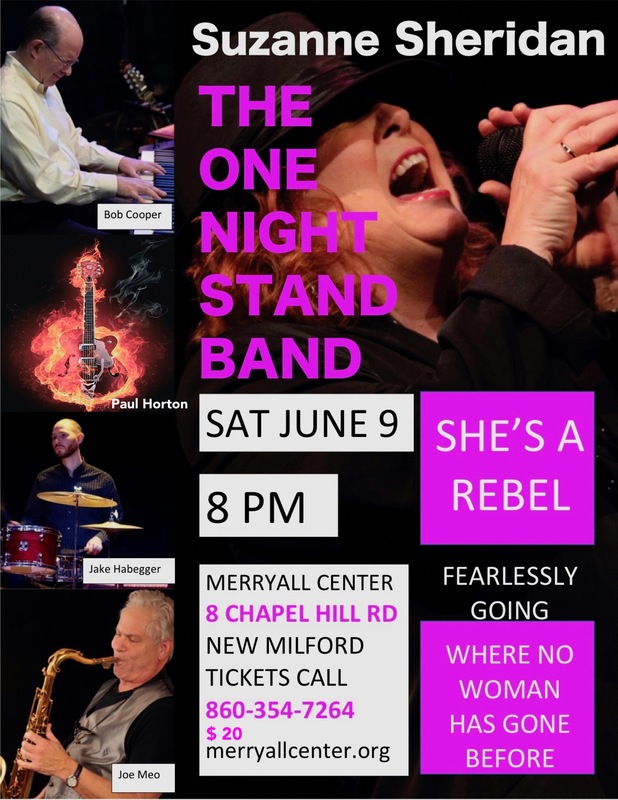 Merryall Center in New Milford, SATURDAY JUNE 9 at 8 PM. 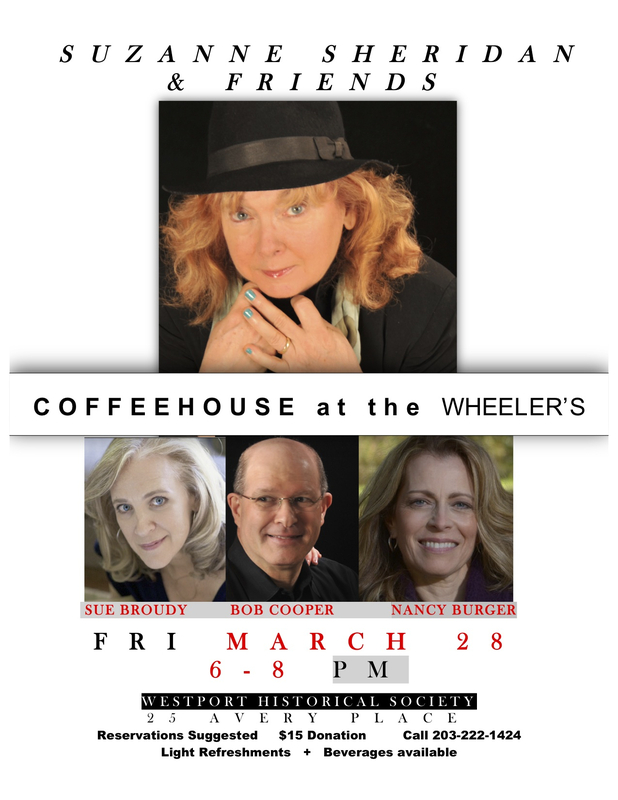 “Coffeehouse at the Wheeler’s,” the very popular and ongoing musical series that is now in its fifth year at the Westport Historical Society is doing something a bit curious on Friday March 23 in that at this concert, Suzanne Sheridan, the musical director and performer at the coffeehouse concerts, is going to let the music reflect the time period of the Ed Vebell exhibit. 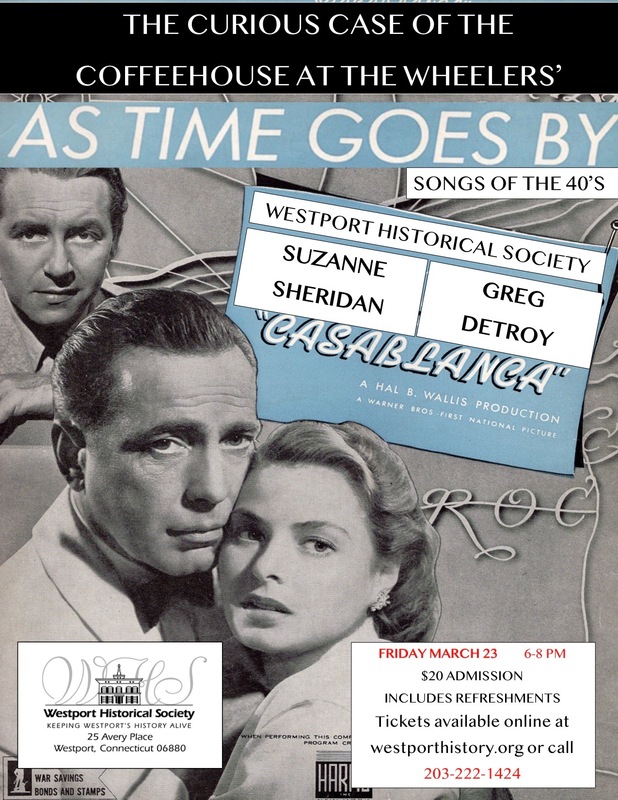 Together with Greg Detroy on keyboards, Sheridan will be performing the music of the 40’s, the music of World War II, the music of Ed Vebell’s exhibit. 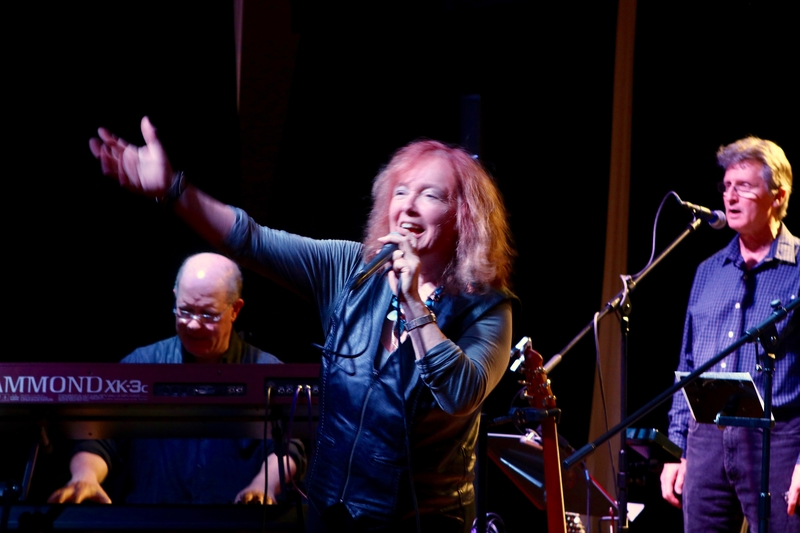 The concert, “As Time Goes By,” will cover the classic songs from that period such as “I’ll Be Seeing You,” “As Time Goes By,” and many others from the songbook of that era. 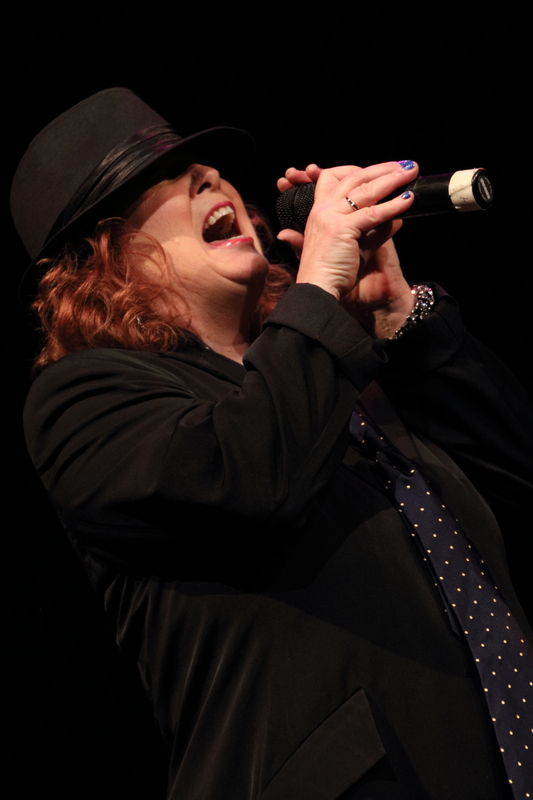 Greg Detroy is well known to audiences in the Fairfield County area as the leader of the Men’s Community Gospel Choir of Norwalk and has performed on piano in numerous venues with the likes of Bob Stewart and Bob Riccio. 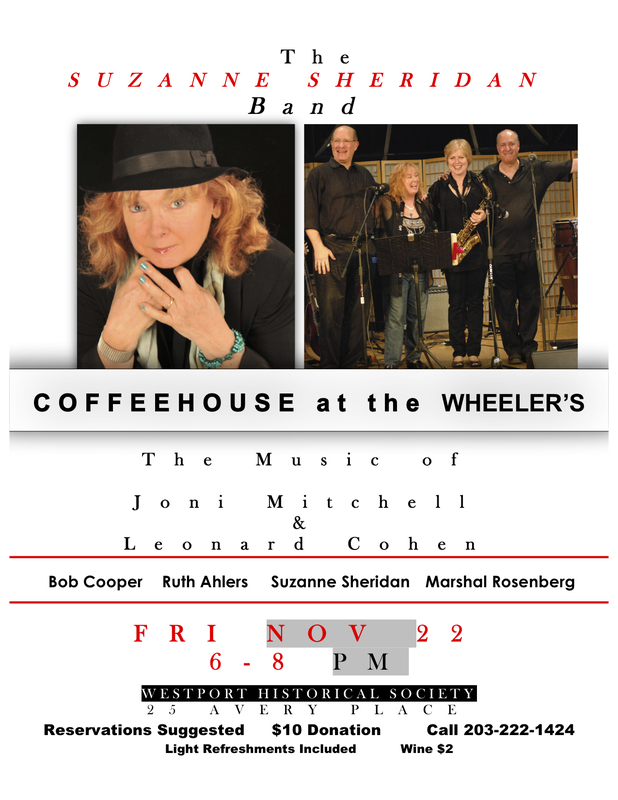 This will be his first appearance at “Coffeehouse at the Wheeler’s.” Over the past 5 years, Sheridan has presented coffeehouse concerts that have included the music of Leonard Cohen, Joni Mitchell, Pete Seeger, James Taylor, Carole King, Carly Simon and Bob Dylan among others. 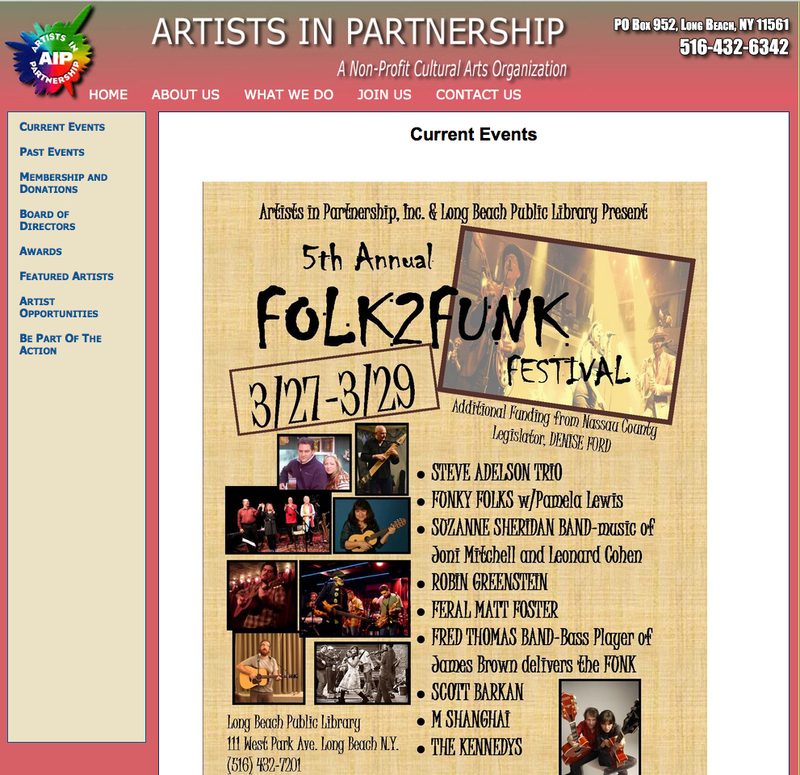 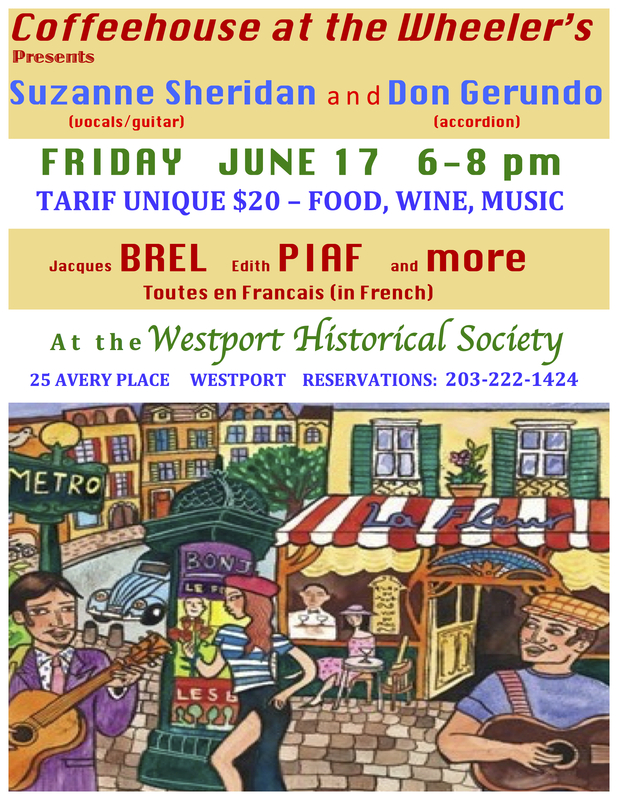 Tickets priced at $20 can be purchased on line at http://www.westporthistory.org or by calling 203-222-1424. 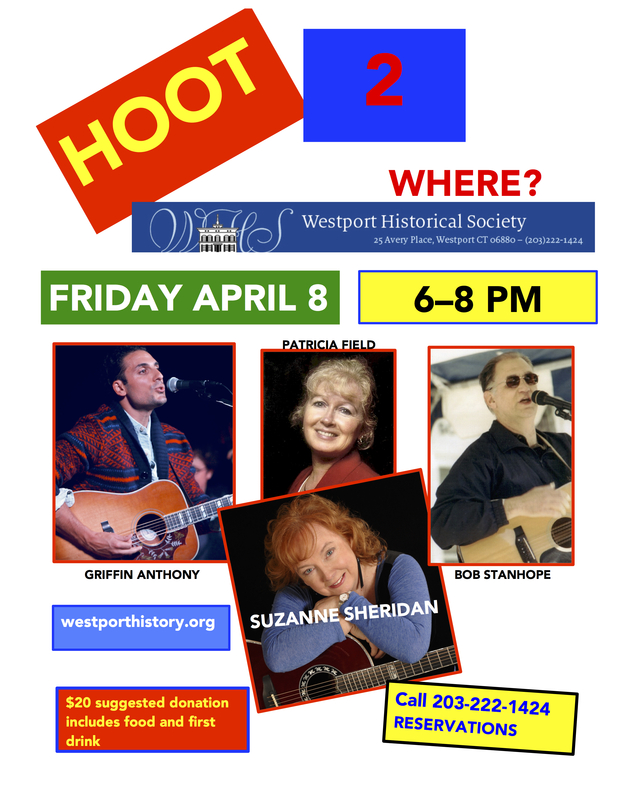 Admission includes light refreshments The coffeehouse takes place from 6-8 PM at 25 Avery Place, Westport on Friday March 23. 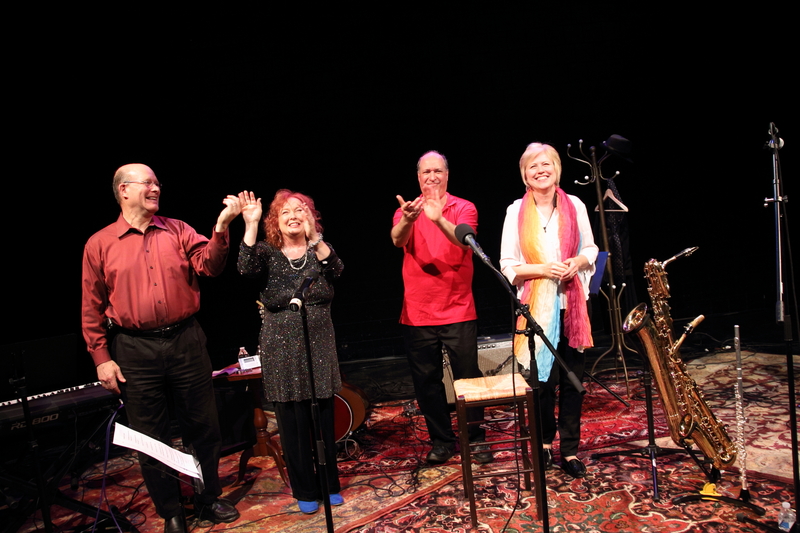 When The Suzanne Sheridan Band took the stage at Quebec’s Theatre Piggery in August, they proceeded to give a master class in the music of Leonard Cohen. 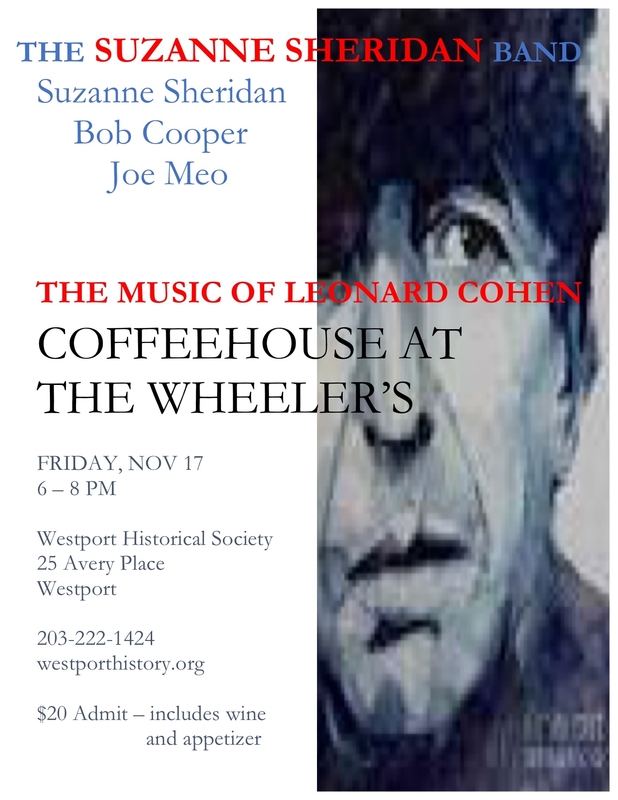 You are now invited to attend class on November 17, 2017 at the Westport Historical Society’s very popular series, “Coffeehouse at the Wheeler’s.” Your teachers are Suzanne Sheridan, Bob Cooper, and Joe Meo. 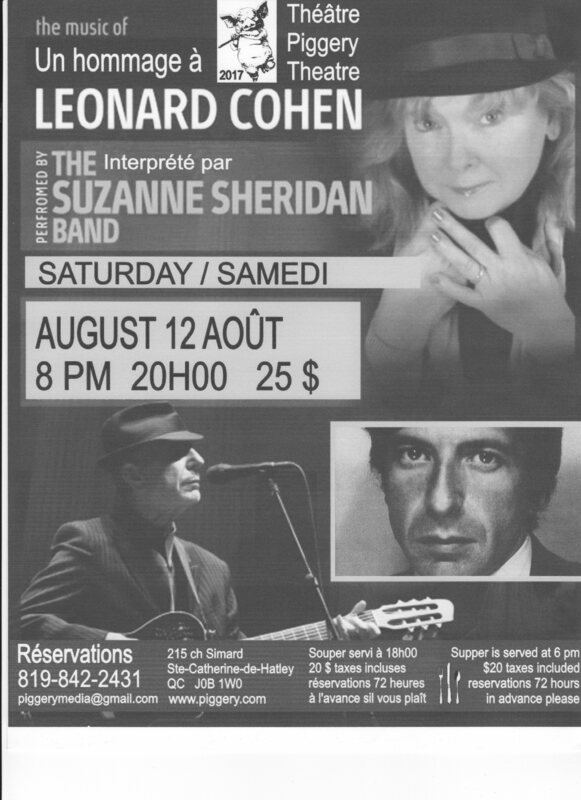 You can finally hear the music of Leonard Cohen the way Mr. Cohen would sincerely want you to hear it. 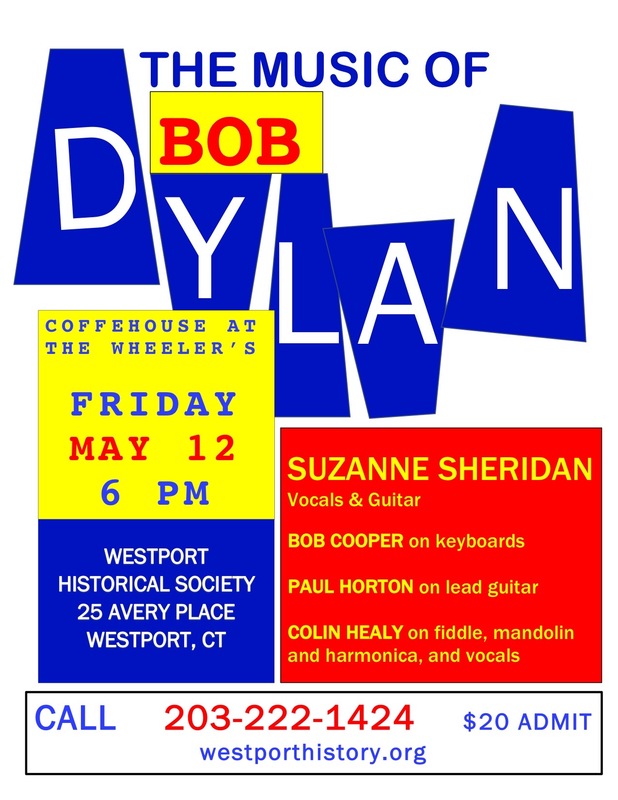 with Bob Cooper, Colin Healy, and Paul Horton. 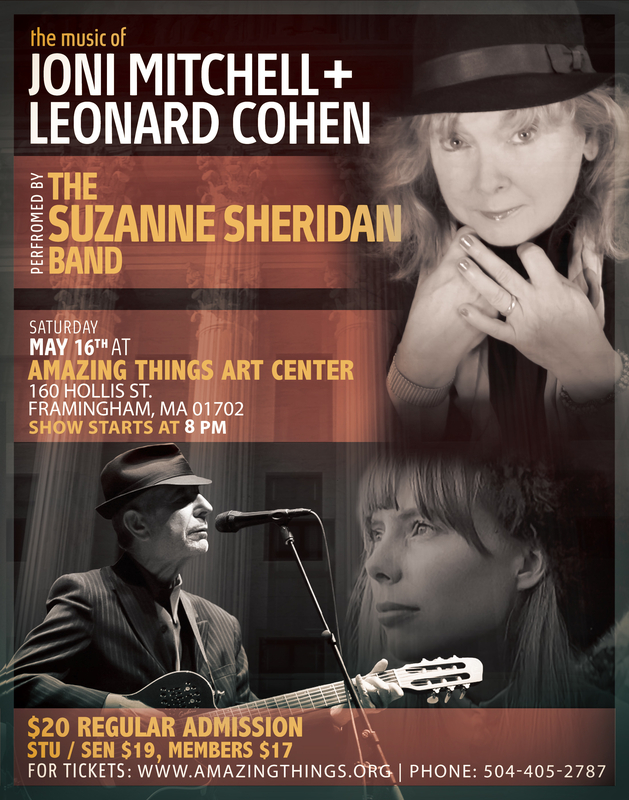 Joni, Leonard, Dylan, Sheridan – all in one night!! 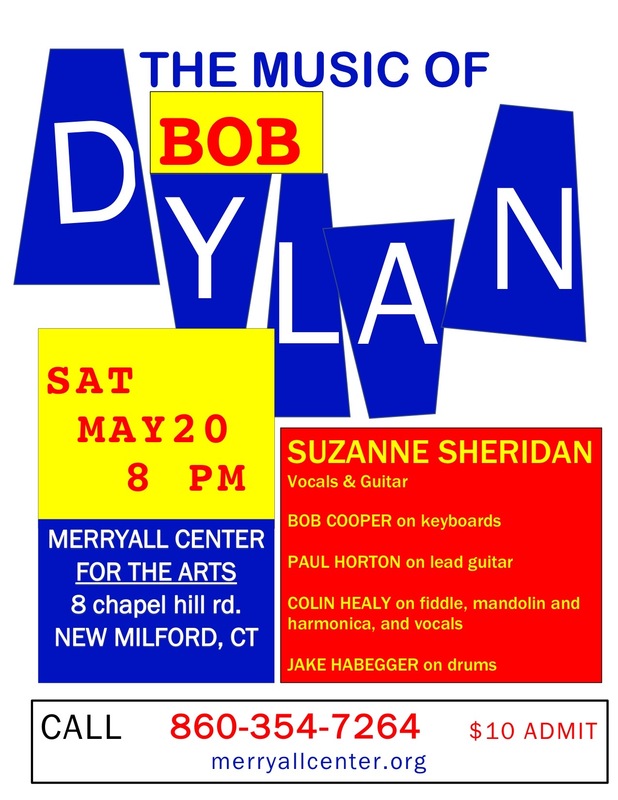 The musicians that are gathering to play the music of America’s most notable and only Nobel Prize-winning singer/songwriter Bob Dylan will be Suzanne Sheridan on vocals and guitar, Bob Cooper on keyboards, Paul Horton on lead guitar, Jake Habegger on drums, and Colin Healy on mandolin, harmonica, fiddle, and vocals. 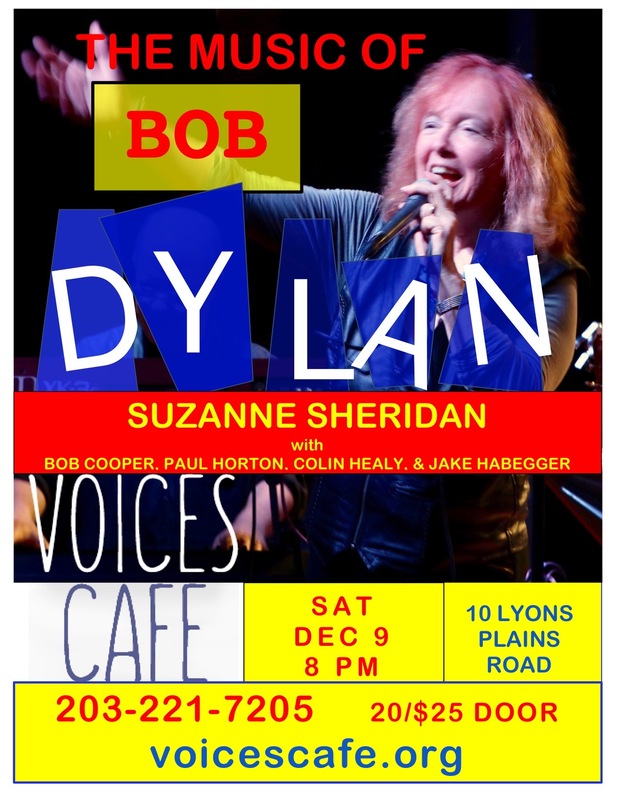 All world-class musicians in their own right, they have come together to bring you their version of Dylan’s music in a fashion that you will be sure to claim is the best you have ever heard. 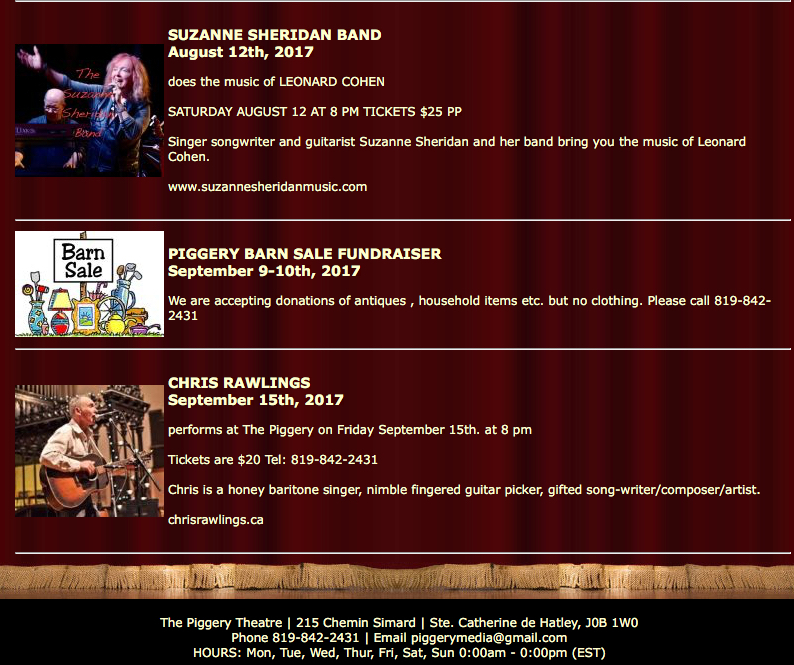 A musical must!! 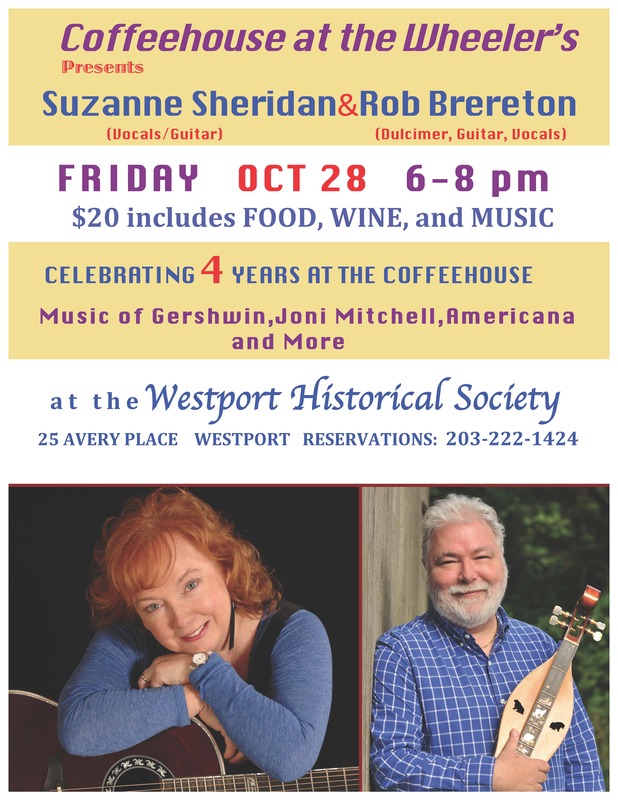 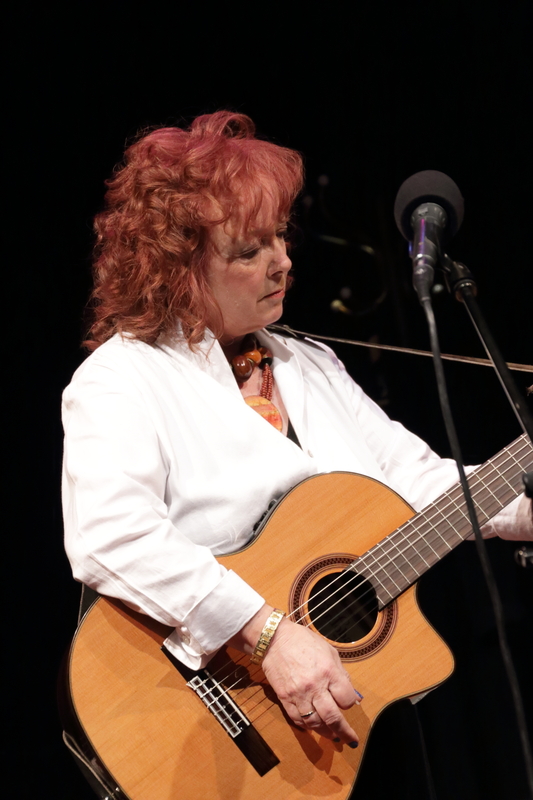 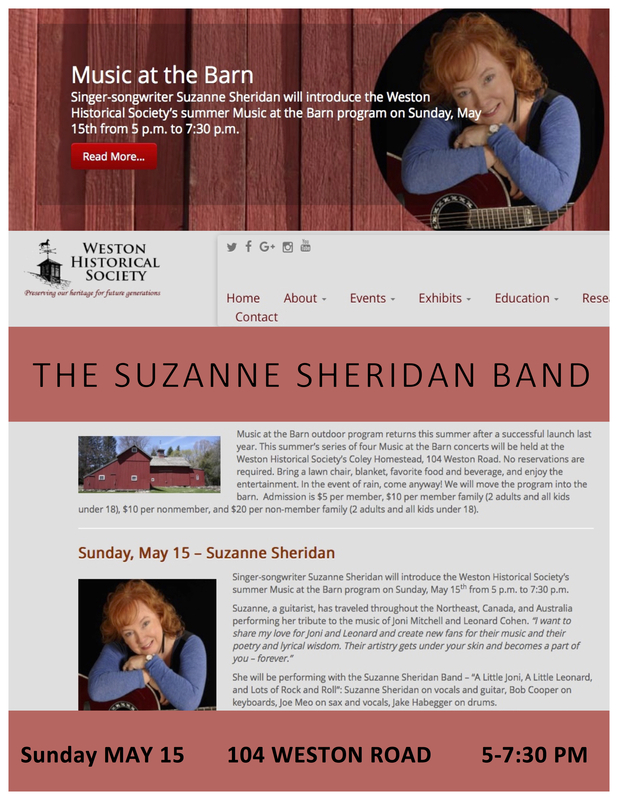 Suzanne Sheridan and Rob Brereton are going to celebrate the 4th Anniversary of Coffeehouse at the Wheeler’s, Suzanne’s 11th wedding anniversary, and Suzanne’s birthday – all in one terrific concert. 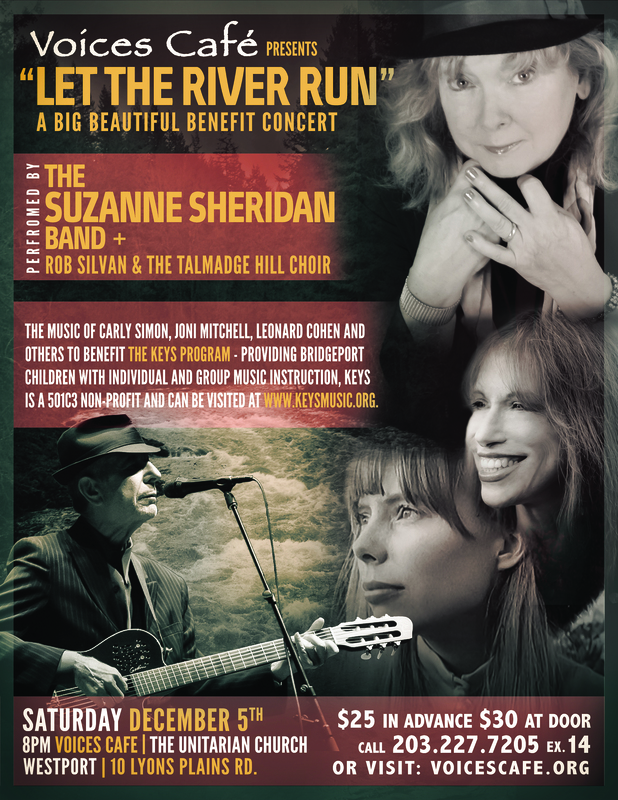 Rob is one of the world’s most accomplished dulcimer players and will mesmerize you with his Gershwin tributes on dulcimer while also teaming with Suzanne’s masterful interpretations of Joni Mitchell’s repertoire. 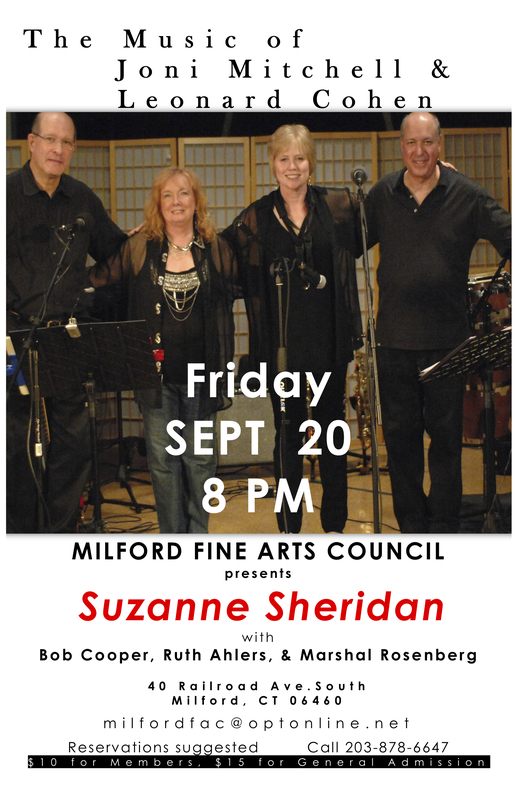 Very Special Indeed – David Tamulevich and Michael Hough of “Mustard’s Retreat” and Suzanne Sheridan and Bob Cooper on a Steinway Grand Piano. 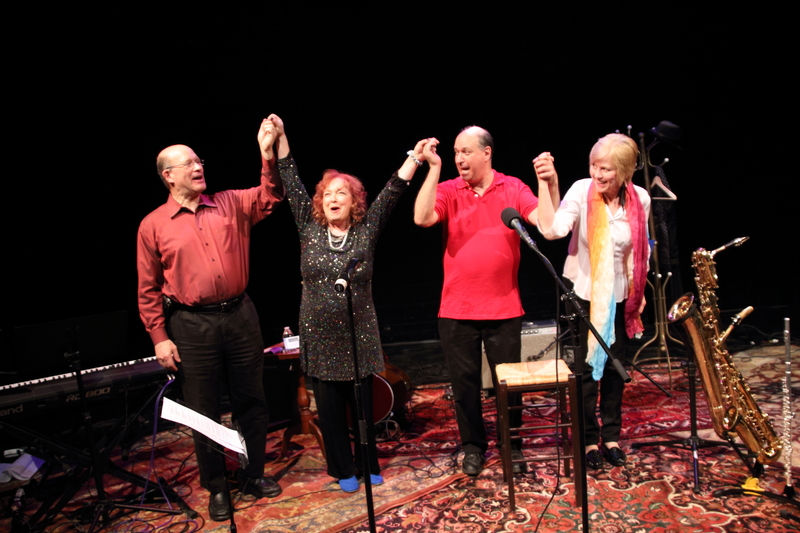 SINGING FOR MARRIAGE EQUALITY – “WE’VE COME A LONG WAY, BUT WE STILL HAVE A LONG WAY TO GO” A BENEFIT FOR THE ACLU’S ongoing campaign to make marriage equality a reality in all 50 states. 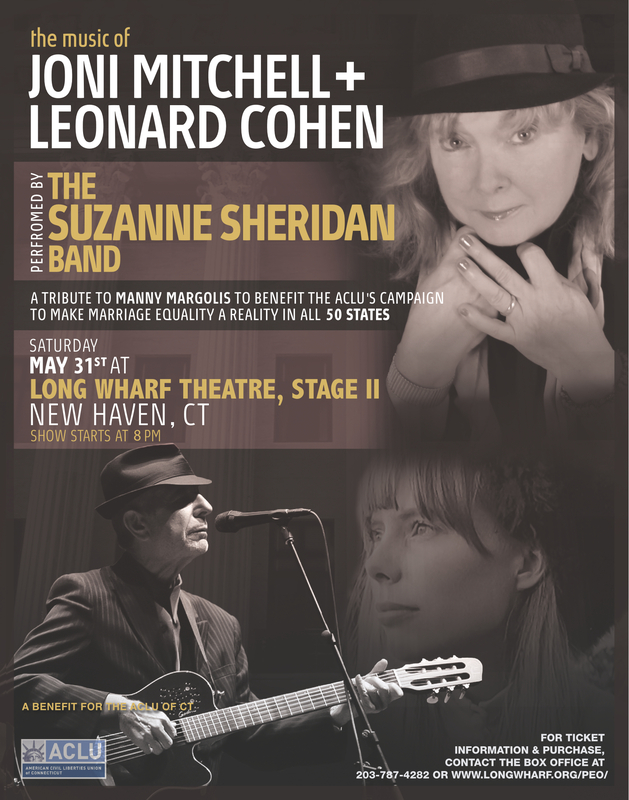 Singing the music of Joni Mitchell and Leonard Cohen, Suzanne is dedicating this concert to the late Manny Margolis, a tireless civil rights attorney who was at the forefront of legal representation for the rights of gay couples. 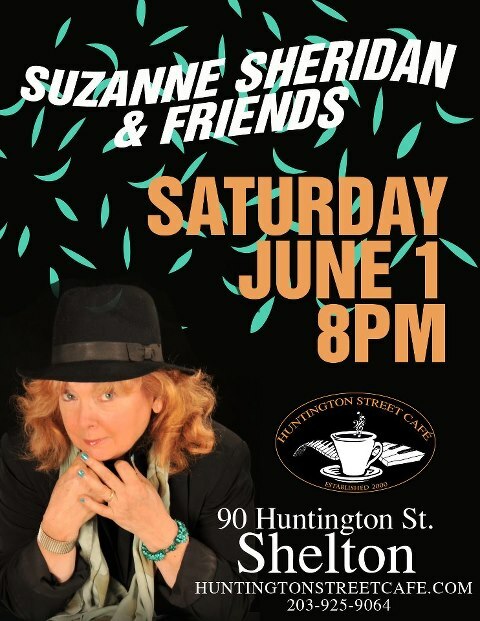 Suzanne Sheridan Returns – NOW AND ALWAYS! 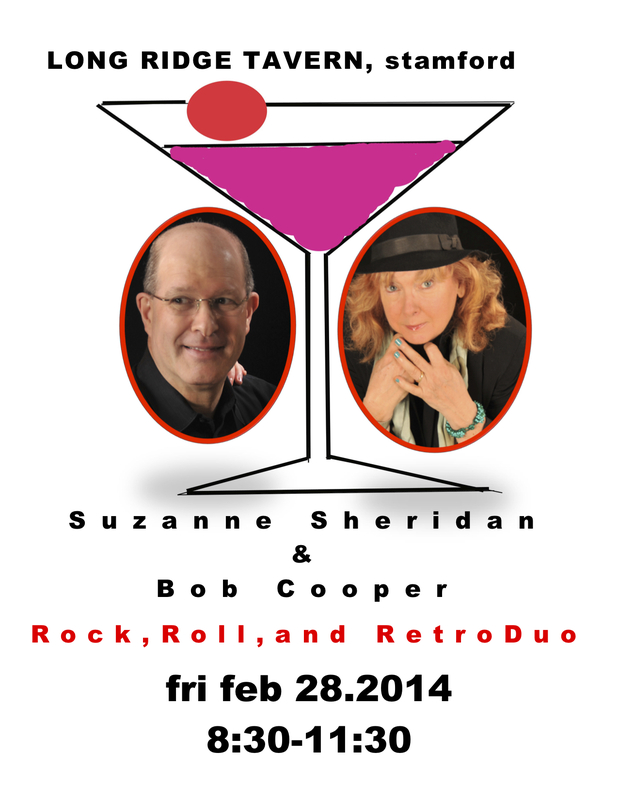 Joining Suzanne will be Bethel’s Chris Brown on bass and trumpet, and Westport poet Ralph Adams.